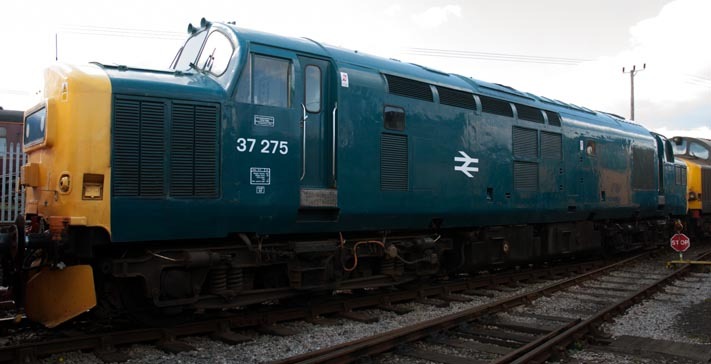 Class 37275 in British Rail blue at Barrow Hill in April 2012. 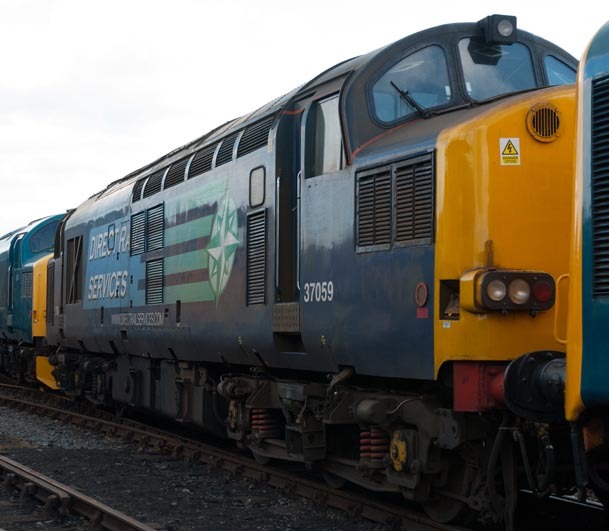 Direct Rail Services Class 37059 at Barrow Hill in April 2012 . 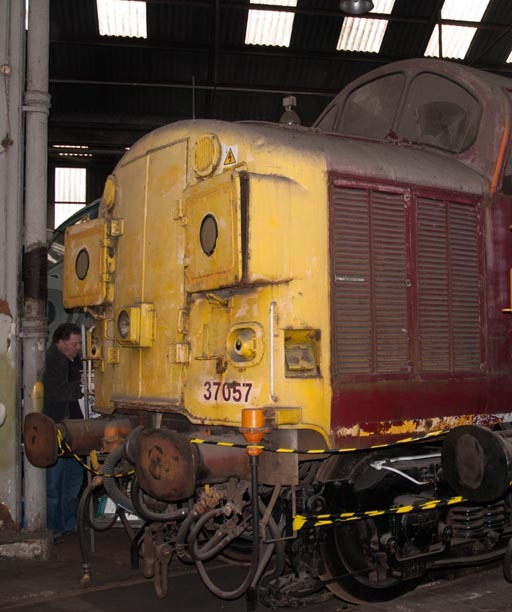 Class 37057 in the round house at Barrow Hill in April 2012 in a poor state. The Fab 4 event was held a the Barrow Hill at the former steam roundhouse located at Barrow Hill near Chesterfield. The shed was saved by the Barrow Hill Engine Shed Society. This event was held over 3 days in April 2012. I went on Sunday the 15th of April 2012.